Today I want to talk a little bit about how I was going through this course. Much that has been I already knew before, as I have a book by Ian Lake streaming that I have read. The course consists of a lecture, after which you need to pass the tests. The duration of video lectures different – from 2 to 20 minutes (English). To pass the course it took me about two weeks. The study of materials and test solution I spent no more than one hour a day (in the evening). I liked the course, learned something new. 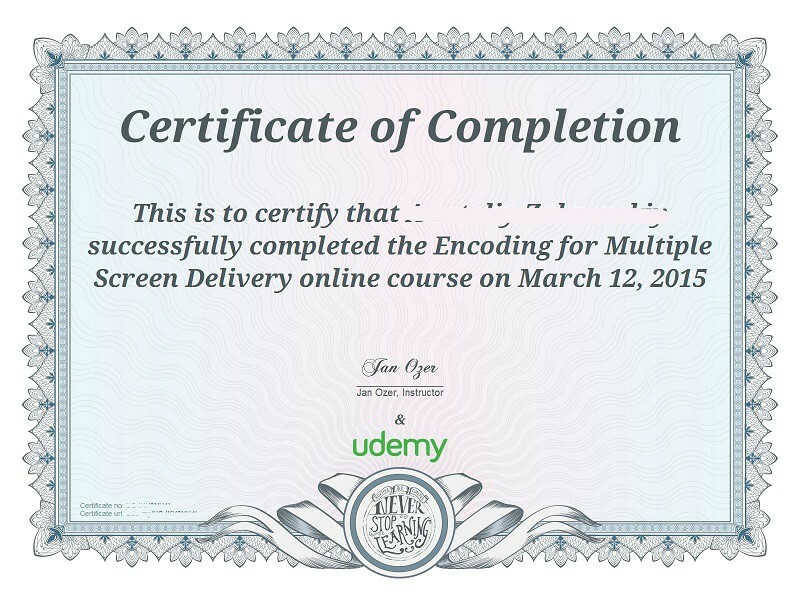 After this course, Udemy service sent to the certificate, which you can see below. I think that course will be useful to all those who have already busy in technology related to streaming. Beginners course can be a bit daunting for information , but then everyone has to choose himself.